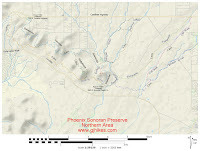 The Apache Vista trail is located in the northern area of the Sonoran Preserve in Phoenix, Arizona. The trail begins off of the Sidewinder trail a little less than a mile from the trailhead. 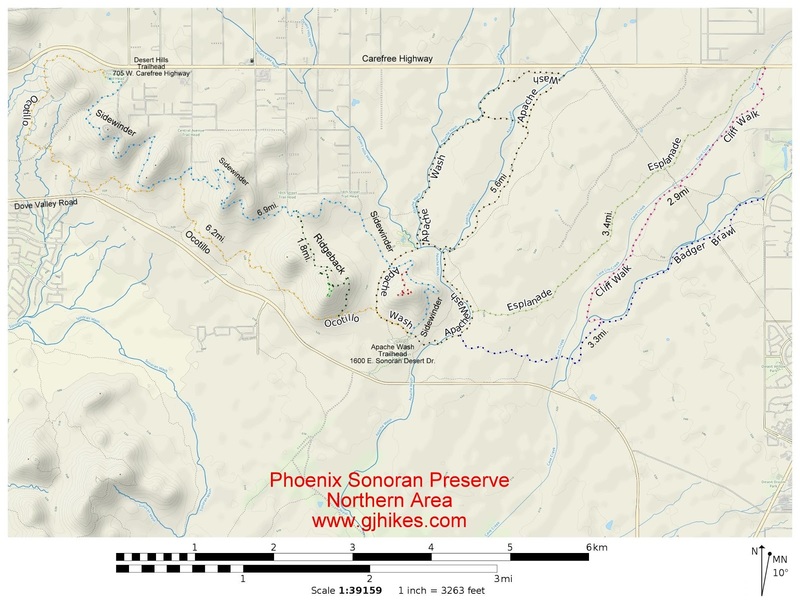 From there it begins a climb that loops over the summit of the hill overlooking the trailhead where there are views in all directions of the Sonoran Preserve and extending well into the Phoenix Basin to the south. The Apache Vista is at the top of the hill in this photo. To get there follow the Sidewinder trail from the parking area. 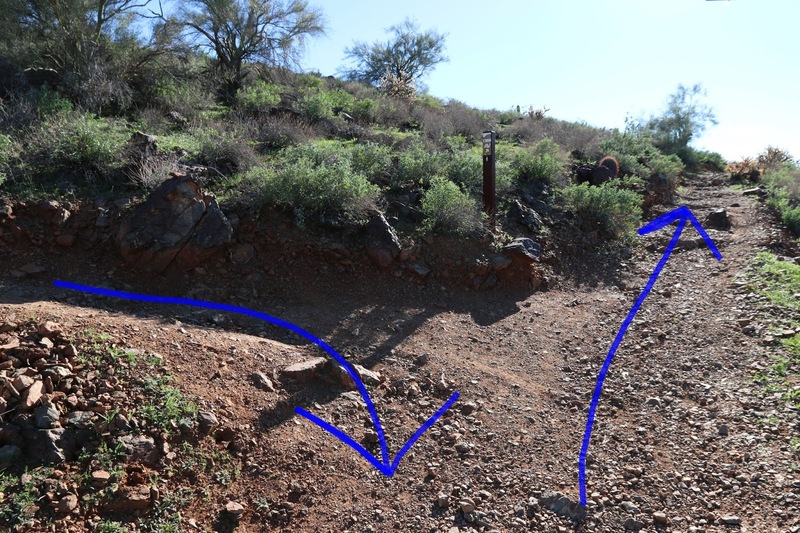 The Sidewinder trail starts out along an easy route that gradually gains elevation as it progresses. The trail wraps its way around the contours of the landscape as it heads around to the backside of the mountain. Just under the 1 mile point the Apache Vista trail branches off on the left. The Apache Vista trail starts out climbing moderately up the back of the mountain. At the 0.2 mile point it comes to a fork where the loop begins. A few rocky outcrops look like they were mined to create the route that the trail follows exposing an orangish iron color that contrasts nicely with everything else. Just before the 0.4 mile point the Apache Vista trail reaches the summit. The trailhead is visible on the south side of the mountain while to the north and east you can see most all of the Apache Wash Loop. 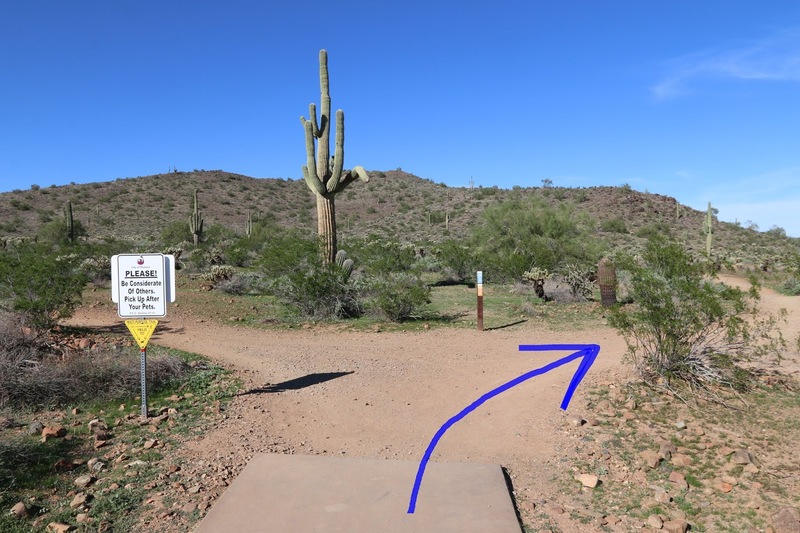 The round trip distance from the trailhead for the Apache Vista trail comes out to 2.5 miles. 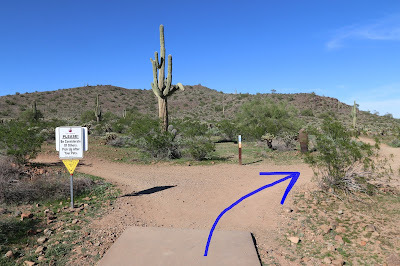 With all the ups and downs on the Sidewinder portion of the trail the elevation gain comes out to around 200 feet making it a nice short trail where you can still get your heart rate up enough for some decent exercise. 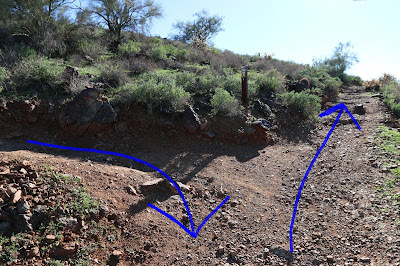 For those wanting some different scenery for the return trip to the trailhead you can continue on around the mountain on the Sidewinder trail to where the Apache Wash Loop crosses it and use that to loop back to the trailhead. That makes the total round trip distance come out to about 2.6 miles. However you go about it if you would like to see it for yourself then all you have to do is 'Take a hike'.